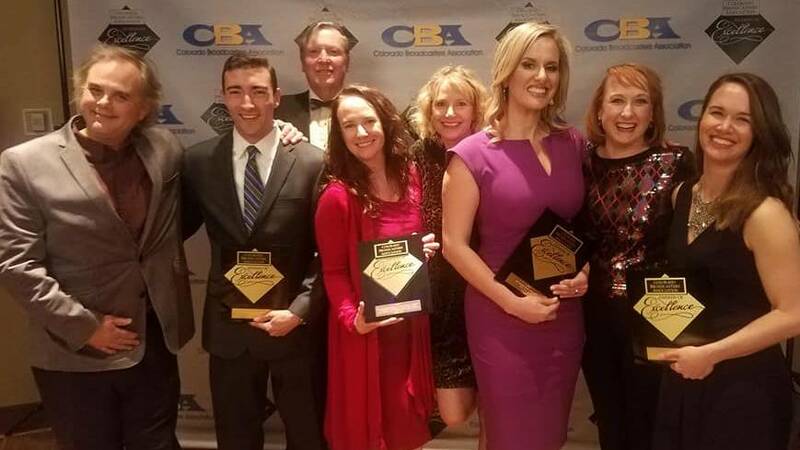 On March 10, 2018, Rocky Mountain PBS received four awards from the Colorado Broadcasters Association at their annual awards celebration. Best Specialty Reporter - Metro Market: KRMA, Lori Jane Gliha. Best Documentary - Metro Market: KRMA, "Beyond Standing Rock," Alisa Barba, Brian Malone, Leigh Paterson. Best News Special or Public Affairs Special - Public Television: KRMA, "Insight with John Ferrugia: Trumped: Rural Rebellion," Marybel Gonzalez, Jason Foster, Lori Jane Gliha. Best Mini-Documentary or Series - Public Television: KRMA, "Colorado Experience: Galloping Goose," Julie Speer, Eric Hernandez, Brian Malone. Lori Jane Gliha is an investigative reporter for "Insight with John Ferrugia." She is known for her national, in-depth investigations, hard-hitting interviews, and continuous coverage of important issues including the water crisis in Flint, MI, the unrest in Ferguson, MO, the influx of Central American migrants at the border, and ATF's controversial Fast and Furious case. Learn more about Lori Jane Gliha and Insight. Inside Energy, in collaboration with Rocky Mountain PBS and Fast Forward Films, produced "Beyond Standing Rock," an hourlong documentary that shines a spotlight on the Dakota Access pipeline protest and its roots in a 170-year-long conflict between tribes and the U.S. government over independence, land ownership, and control of resources. Watch the trailer below and learn more at beyondstandingrock.org. "Insight with John Ferrugia: Trumped: Rural Rebellion"
Donald Trump’s election triumph stunned many. But voters in rural counties were not surprised. They found their voice in Trump’s promises to bring back mining and manufacturing jobs. We went to Colorado’s Las Animas County— coal and ranching country —to find out why rural counties carried Trump to victory. It’s a county no one was listening to during the Rural Rebellion. Take a ride on the Galloping Goose, seven operational railcars that ran through the rugged San Juan mountains from 1931 to 1952. Carrying cargo, mail, and passengers, these “Motors” connected Dolores, Telluride, and Ridgeway with many locations along the Rio Grande Southern Railroad. Discover their mechanical and weather-related adventures, learn how they have been preserved, and why they attract visitors from around the world.